Happy hump day! Bummer to be back in school and work today huh? Here's some goodies to share with you and make the day a little more bearable! Seriously love HiShop for sending me these awesome beauty products. You can read Part 1 of my L'Egere review here on two of their best selling CC creams. In Part 2, I'll be reviewing yet another L'Egere product - the Magic Water Cool Aqua Powder! Sounds like an interesting product right? Part 3 is about the Purevivi Cleansing Lotion that is the rage in Japan now. You can read it HERE! Koreans seriously have the most innovative ideas because this product really blew my mind as it's the first time I'm seeing something like this. 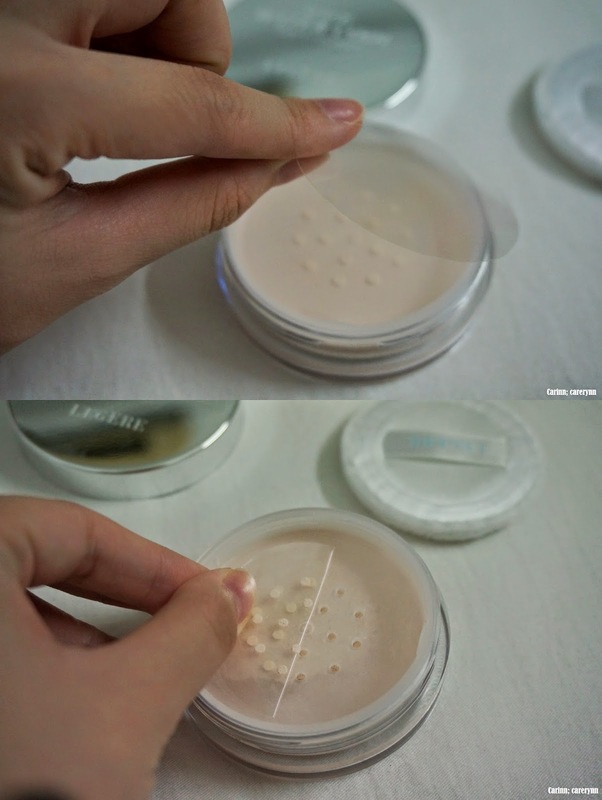 The L'Egere Magic Water Aqua Cool Powder is no ordinary powder despite the ordinary packaging. This compact 9g powder comes in a typical finishing powder jar with two sponges given in case the first one gets lost or dirty. The jar is really lightweight so it's convenient to bring it out with you! Wondering what's an AQUA COOL POWDER and what makes this powder so special? When applied on the skin, the powder instantly transforms into water soothing molecules for a cooling experience. This technology is similar to the Magic Aqua Essence-In CC Cream I talked about previously. This technology retains about 60% of moisture within the powder to double the moisturising effect and make sure your makeup doesn't budge. The super fine particles can effectively control oily skin and tighten pores and skin to give you perfect, crystal-clear makeup. The main ingredients, Vitamin B5 & lecithin can maintain the skin's elasticity and gloss to provide highly effective moisturising performance. There is a well-known whitening ingredient AA2G that can effectively restrain the accumulation of dark pigments and give the skin a rosy-white outlook. The natural tea leaves extract used prevents oxidation and protects against environmental damage. The ultra fine powders conceals small wrinkles, pores and imprefections while the brightening particles allow the skin to have a shiny healthy gloss from every angle. Peel off the two plastic layers stuck there for hygiene purposes. The powder is so so fine! It is advisable to use the puff or a brush as it helps control the usage better than fingers. There is only one shade available. Try and keep the cap closed when you're not using it to avoid the powder from flying all over. For best result, store the powder in a cool, dark place and keep it away from childrens' reach. I was so pleasantly surprised when I applied the powder on my hand! It's a sensation I've never experienced before. The super fine powder suddenly transforms into a watery-like texture and feels cooling on the back of my hand. It does require a bit more blending as you can see the powder does settle into the fine lines of my hand. K I know I very sampat but I thought it was a good idea to use the mirrored cover as a mirror to apply this powder on. XD Use the powder puff provided and pat it on. You can adjust the amount you need first on the back of your hand before gently applying it to the face for a perfect, long lasting make-up base. Testing on the back of the hand first has another use which is to test for sensitivity. Do not use on sensitive or troubled skin. Cease use immediately and seek advice from a dermatologist should and complications occur. Initially I thought the product was used as a finishing powder but then I realised that it's a makeup base. This is something new to me cos most makeup bases are liquid right? The powder leaves a natural-looking matte finish which I really like. The combination of the L'Egere Magic Aqua Essence-In CC Cream and this powder is the perfect match in my opinion, especially for people with dry skin. You can purchase the L'Egere Magic Water Aqua Cool Powder HERE at a discounted price of RM78 for 5g.